Shop SpinLife for a complete selection of bed accessories. Our bed accessories are backed with a 110% low price guarantee and the best return policy on the web. 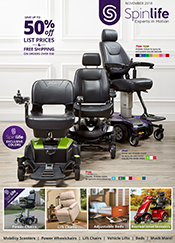 Choose from Stander, Drive Medical and Invacare. Some of our best selling bed accessories include the Stander EZ Adjust Bed Rail and the Invacare Offset Trapeze Bar with Octagon Tube. Spinlife features air-filled pillows to provided added support and comfort to your bed. These pillows are self-adjusting and provide more support than a standard pillow. 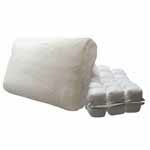 The pillows we carry come in standard and king sizes. 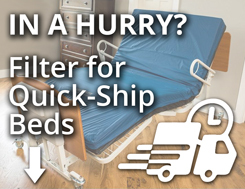 Once you have the hospital bed in place there are other accessories that can make life a little easier and more comfortable. 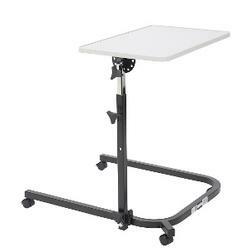 Overbed Tables- This is the first choice in a three part equation that includes frame, mattress and accessories. The three choices are manual, semi-electric and full electric. 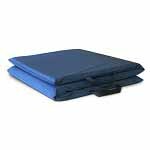 Mattress Sheets - Are you having difficulties fitting a standard sheet set on your home or facility quality bed? 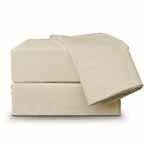 We offer sheet sets specifically designed for the standard size hospital bed. We also have sheets and mattress protectors to accommodate your traditional size home and adjustable beds. 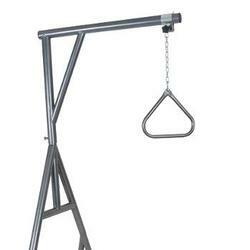 Accessories - Don't forget the overbed table for snacks of the trapeze to assist with transfers. 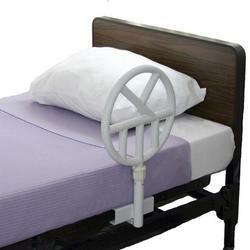 Hospital bed accessories help complete your homecare environment, making it more comfortable and functional.